UPDATE: After publication, Pat Ryder, spokesman for Gen. Joe Dunford, issued the following statement: "To clarify, an unclassified overview of the National Military Strategy is in development and will be released to the public. However, it’s important to highlight that compared to previous versions of the NMS, this document goes into a higher degree of detail on how the Joint Force will be employed to meet 2018 National Defense Strategy objectives and tackle existing and future security environment challenges. It’s because of the sensitive nature of this information and operational security concerns that the 2018 NMS will remain a classified document. WASHINGTON — Gen. Joe Dunford, the outgoing chairman of the Joint Chiefs of Staff, has finished his new edition of the National Military strategy — but currently has no plans to roll out a public version of the traditionally unclassified document. “The 2018 National Military Strategy was approved by Gen. Dunford in December and submitted to the secretary of defense and Congress in accordance with statutory requirements,” said Col. Patrick Ryder, Dunford’s spokesman, in response to a question from Defense News. Gen. Joe Dunford, the chairman of the Joint Chiefs of Staff, made it sound like the strategy will largely involve coloring in details that were already laid out in the previous document, particularly around the analysis of the “4+1” challenges to America – China, Russia, North Korea, Iran and violent extremism. Traditionally, the National Military Strategy, published at different intervals since the late 1990s, has come in an open format, including as recently as the 2011 and 2015 editions. However, in 2016, Dunford said that it was his belief the document should be more heavily classified than it previously had been. While there currently is not an unclassified version, Ryder did not rule that out as a future possibility — and keeping the document fully classified would go against Dunford’s own comments made in the last year. 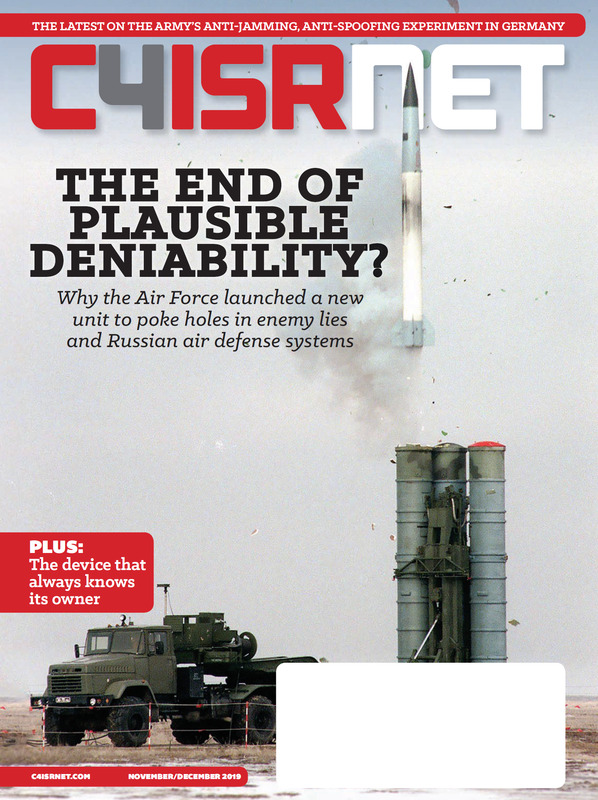 Loren DeJonge Schulman, a former Pentagon and National Security Council staffer now with the Center for a New American Security, questions how much benefit the National Military Strategy brings given the recent publication of the National Defense Strategy — let alone the Nuclear Posture Review and Missile Defense Review documents published in the last year. “The NMS could be a useful process, but in the past it's just been a way to insert confusion and to overstress the civ-mil tensions in the department without resulting in distinct military priorities to execute the strategy,” she said. Still, while saying it is “wise” for the Joint Staff to keep the bulk of the document classified in order to avoid worrying about public perception of their work, Schulman warned that keeping the document entirely behind walls could backfire. Doing so would be part of “an unfortunate, and frankly undemocratic, tendency by this administration to withhold basic defense information from the general public,” she said. “DoD believes that intensified ‘opsec’ and overall discretion is a virtue and a return to the days of the Cold War. This is a total misread of that period. It is also going to do more harm than good when they need the support of Congress and the American people,” Schulman added. Thematically, the NMS is expected to follow the broad layout from the National Defense strategy which prioritized dealing with the so-called “2+3” challenges to America – China and Russia as the primaries, followed by North Korea, Iran and violent extremism. 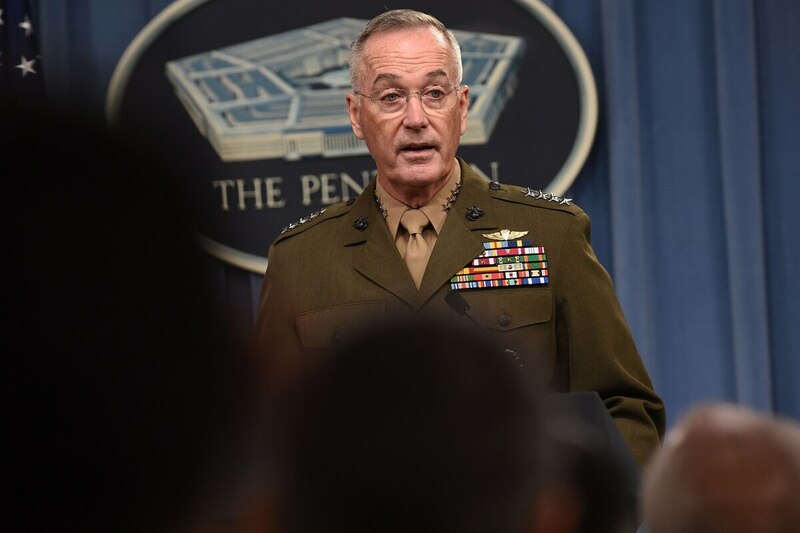 Structurally, Dunford described four key focus areas for the NMS over the summer: providing best military advice, strategy development, supporting the secretary of defense and making sure that the joint staff provides the integrating functions for war plans. “In my mind, what the national military strategy ought to do is drive the development of our operation plans and, more importantly, drive the development of viable options that we would need in a crisis or contingency,” Dunford said. Although reluctant to get into details, Dunford did hint that part of the NMS is focused on more effective ways to use intelligence, surveillance, reconnaissance (ISR) capabilities.